Artificial intelligence (AI) and machine learning is set to transform the retail industry driving deeper insights into customer behavior, operations, finances, and human resources. DataRobot gives your retail organization the tools needed to accurately forecast demand and inventory, better understand customer sentiment, and optimize staffing, helping you dominate your market and delight customers. Learn how to improve demand forecasting with AI. DataRobot is helping innovative retailers meet the challenges of more demanding consumers, multiple marketing channels that stretch budgets and create complexity, and the need for better forecasting for both revenues and inventory. Learn how DataRobot optimizes retail operations through automated machine learning. AI-driven retailers seize every opportunity to use data to analyze customer spending patterns and shopping behavior across all channels to align product mix, promotions, messaging, and media choices to have the right product available at the right place at the right time. Whether it’s online vs. brick- and- mortar or finding the exact item they need, customers have more choices than ever. DataRobot delivers deep insight into what your customers think about your brand and shopping experience. This information helps drive marketing spend, analyze churn, and create plans for turning your most valuable customers into advocates. DataRobot Time Series automatically detects the most influential patterns in your data so you understand the impact of actions like stocking a new product line or a competitor opening a store nearby. With DataRobot you can confidently predict sales over a holiday season, determine how much staff you need for the week, or ensure your inventory matches demand. AI is helping retailers deliver relevant marketing content that is personalized for buyer preferences, behaviors, and context, delivering the right content at the right time across the most relevant marketing channel. The result… more effective marketing and targeting that resonates with prospects and customers. Hiring and managing staff can be a challenge in retail environments where turnover is greater than in many industries. With DataRobot, companies can use AI to optimize staff schedules to ensure coverage without over-staffing. In addition, AI can analyze employee satisfaction and drive insights into why employees stay or leave. "The biggest impact DataRobot has had on Lenovo is that decisions are now made in a more proactive and precise way. We have discussions about what actions to take based on variables, and we can compare predictions with what really happened to keep refining our machine learning process and overall business knowledge." 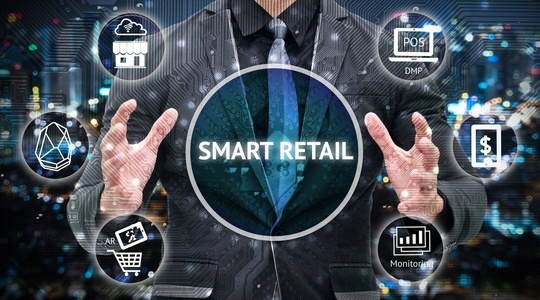 How will your retail organization maximize operations with AI?